Thunder Mountain Healing Songs is very meditative and great if you want to learn women’s hand drumming songs or just learn to express your voice through song. This album features songs of gratitude and healing for the water within and surrounding us. 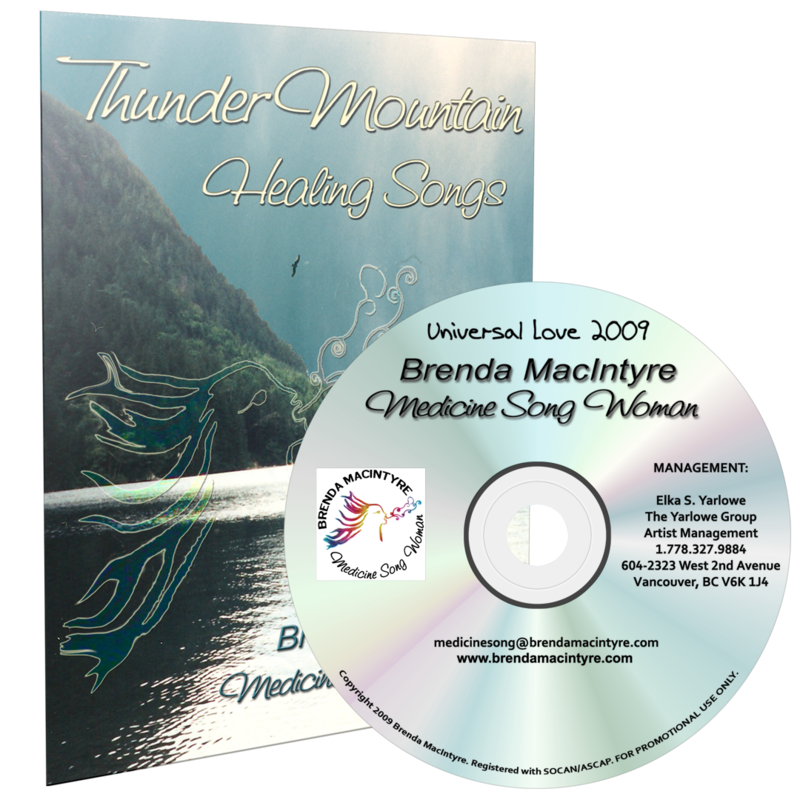 The e-book includes many spiritual teachings from Brenda MacIntyre’s experience of a sacred water ceremony on Thunder Mountain and all of the songs came from that mountain, the thunder and the water. Includes bonus indigenous electronica track produced by DJ Kwe to gently bring you out of meditation and re-energize you, plus Thunder Healing Song, channeled in a live thunderstorm.